For business or pleasure, this high-quality and easy-to-use WUXGA ,7.500 -lumen Bright Installation projector works equally well at education environments or at Education . An WUXGA , 7.500 Lumens Bright LCD Projector with a vast range of adjustment, and BrightEra for higher quality colour and a longer lifespan and superior images and a long-lasting, low maintenance performance. 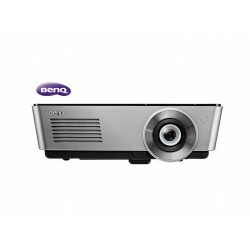 The 7500-lumen NEC PX750U professional installation projector is designed to allow flexibility with highly efficient networking capabilities. Its integrated HQV™ technology is a high-performance video processing/scaling system designed for computer signals, standard or high-definition video. The PX750U’s advanced input panel includes HDMI, DisplayPort and three computer inputs for quick-switching between presentations, while its networking capabilities include integrated RJ45, optional high-speed wireless (LAN IEEE 80.11b/g/n) and several Windows networking features. 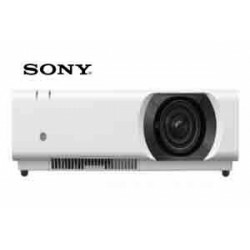 The PX750U is the first NEC projector to offer the Open Pluggable Specification (OPS) technology, which is the first industry-wide standardization in option slots to simplify installation, use and maintenance, while offering input flexibility. The edge blending functionality enables seamless blending of multiple projected images to display a single high-resolution image. Automated features include Auto Power On, quick start and direct power off for ease in presenting. Allows for quick and easy lens exchange. Optional lenses enable the user to determine the appropriate lens to cover projection distances between 1.5 and 179.5 feet. 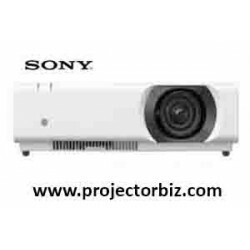 Allows the projectors to boost an image’s brightness up to 20,000 lumens, which is ideal for larger-sized screens and environments with heavy ambient light. This feature also prevents the complete loss of an image, which can happen when using only one projector. A high-performance video processing/scaling system designed for computer signals as well as standard or high-definition video, this technology brings home-theater-quality images to meeting rooms and classrooms using pixel-based, motion-adaptive de-interlacing to remove undesirable motion. Allows you to control a networked computer by connecting a USB mouse and keyboard directly to the projector’s USB input. Displays multimedia files (.jpeg, .bmp, .png, .mpeg2 or .wmv9) in the Windows shared folder on a local network using the Viewer function—all without bringing your PC into the conference room. You can buy NEC NP-570U online in Malaysia on www.projectorbiz.com, the best price and after sales services.